Decorate your wrists with this symmetrical bullseye design. It blends pink and black and provides a glint of color to liven up a neutral look. This alternating set is a classy accent for the busy professional and it can be worn in formal or non-formal situations. A solid silver frame holds this clever design together in a simple and unique display. 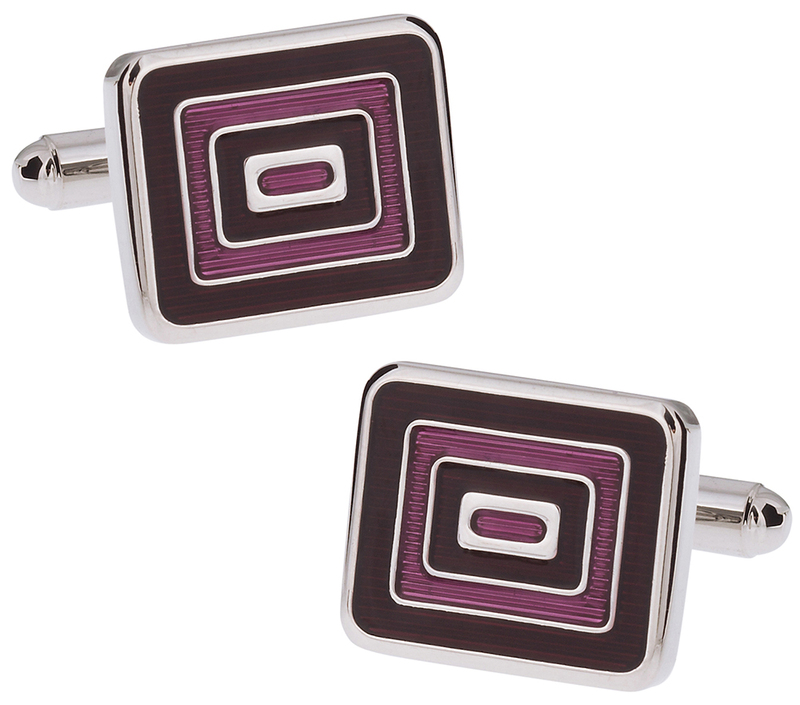 Add them into your cufflink collection or give them as a gift to friends or family members. They come with a unique design that stands out and helps fill out a growing collection of links. Pair it with neutral outfits for best results. There's something almost hypnotic about this design, and the bright magenta pink is a surprising and captivating color choice. The enamel work looks gorgeous sleek.